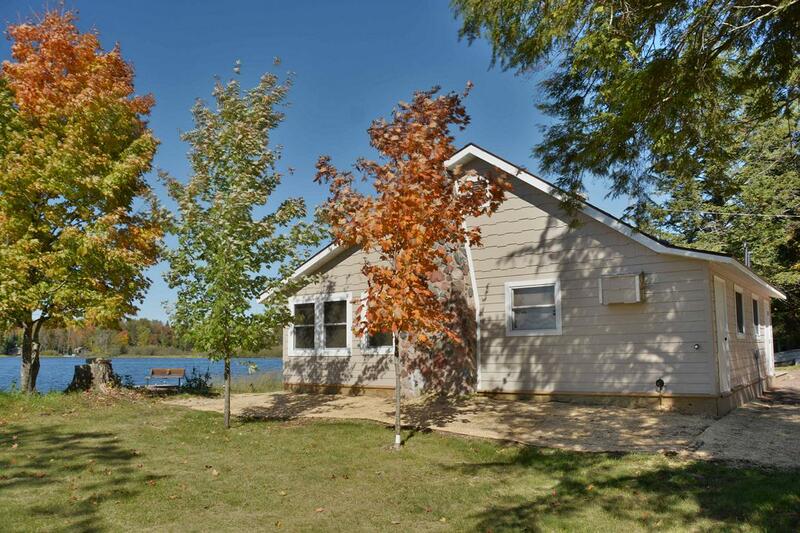 Beyer’s Point is a charming, newly renovated 2 bedroom cabin set only feet from the shores of beautiful Upper Clam Lake. 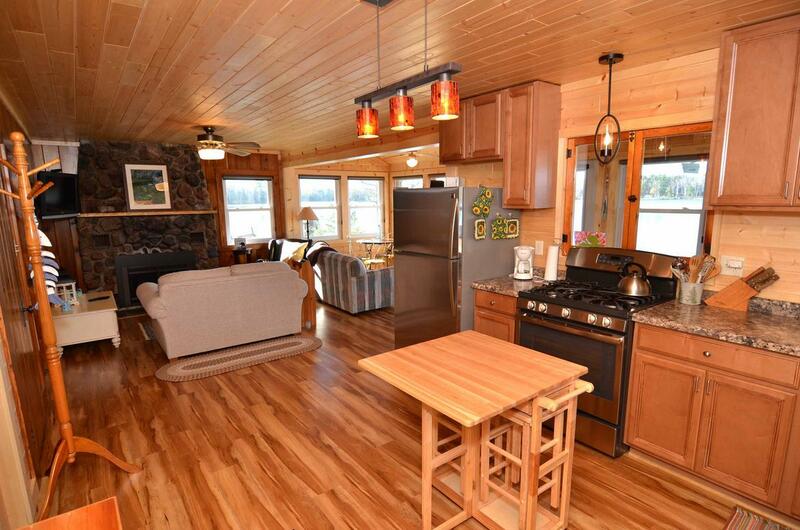 The comfortably furnished, open interior features panoramic views of the lake. 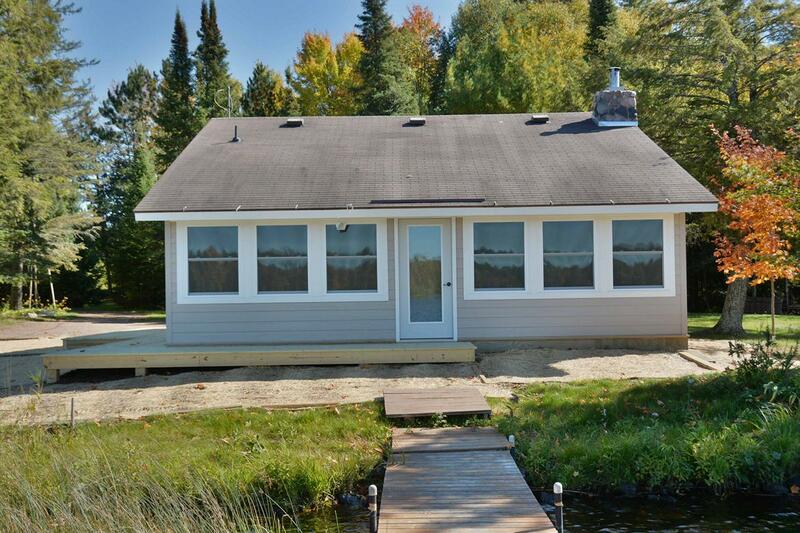 With wood floors throughout and walkout access to a wraparound deck, this cozy cabin is a wonderful getaway in Wisconsin’s Northwoods. 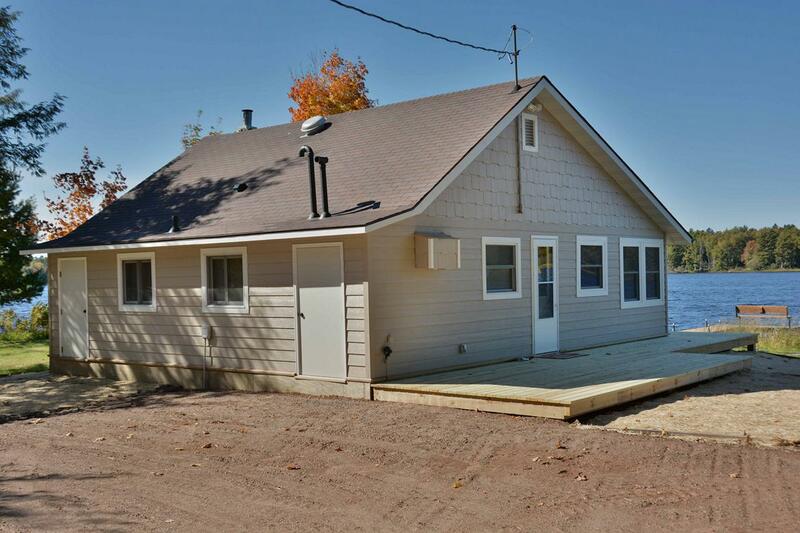 Tastefully decorated after a complete renovation there are 2 bedrooms and 1 bath with shower. 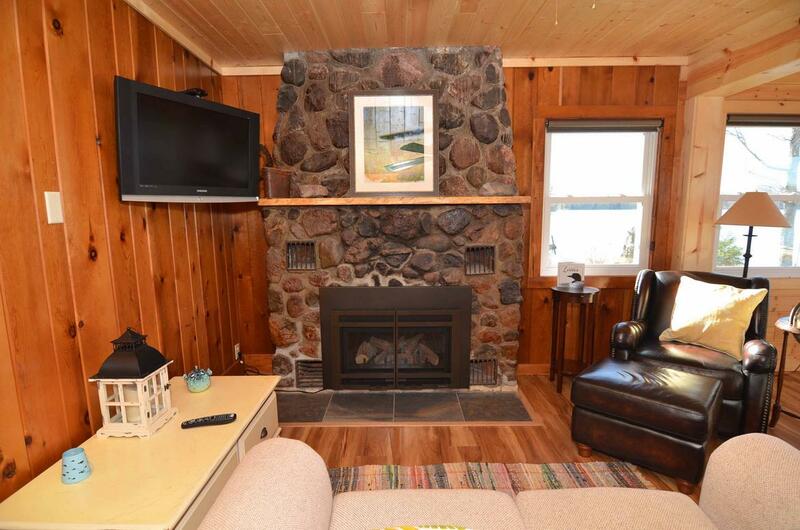 A gas fireplace in the living room provides additional warmth when needed and there are A/C wall units in each bedroom and ceiling fans throughout the cabin to provide a cool breeze. 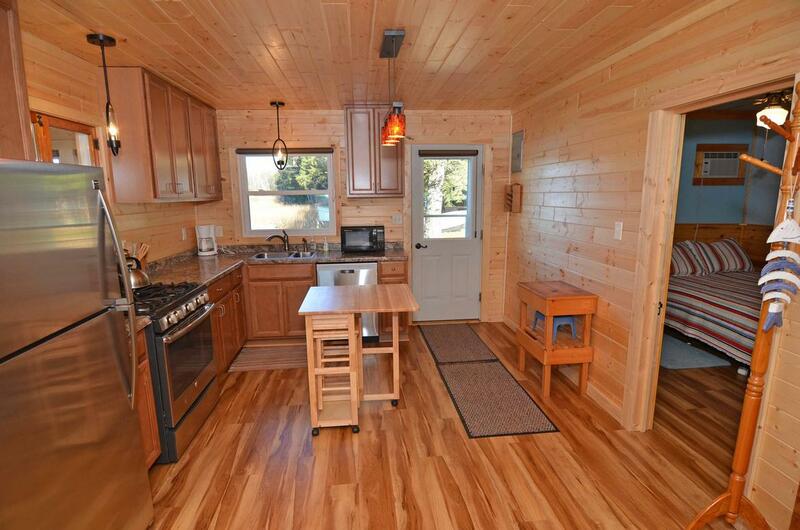 There is wireless internet and cable TV available, too. 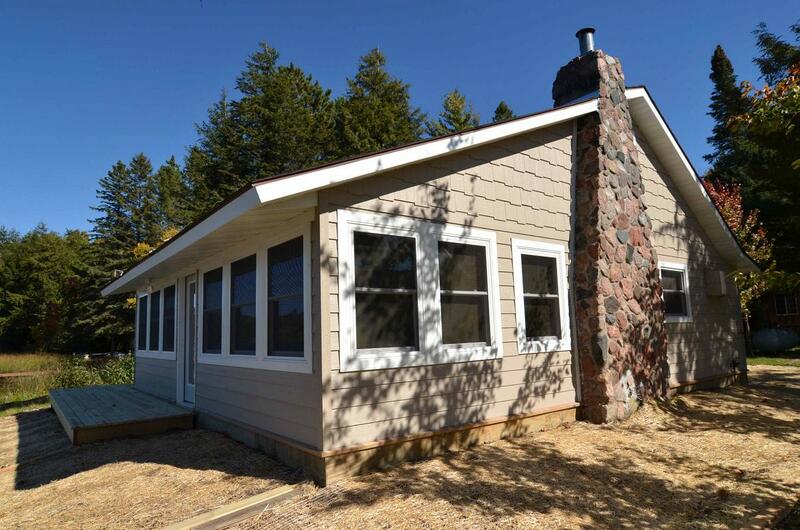 The fully equipped kitchen has newer appliances including gas stovetop, oven, coffeemaker, microwave, full size fridge and dishwasher. 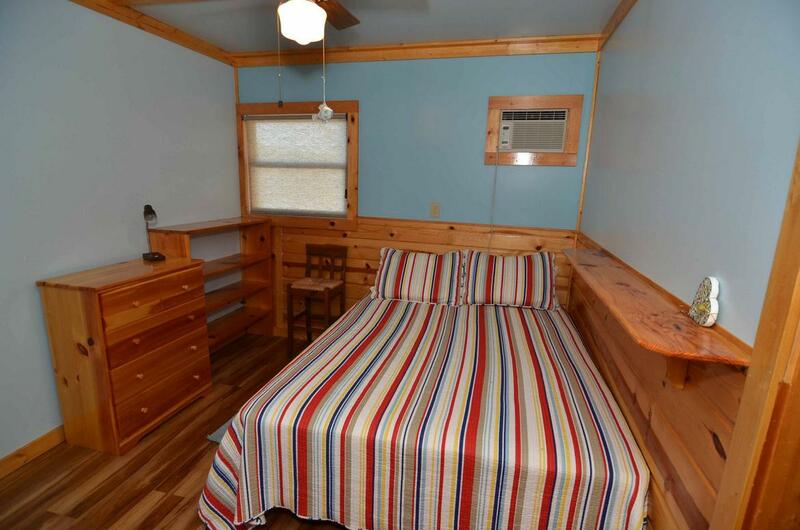 Each bedroom has one double bed and there is a trundle bed in the lakeside sun room. 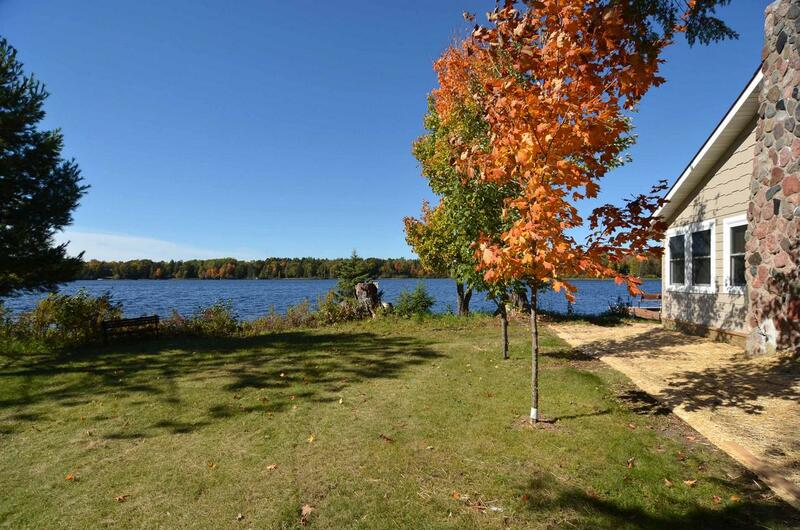 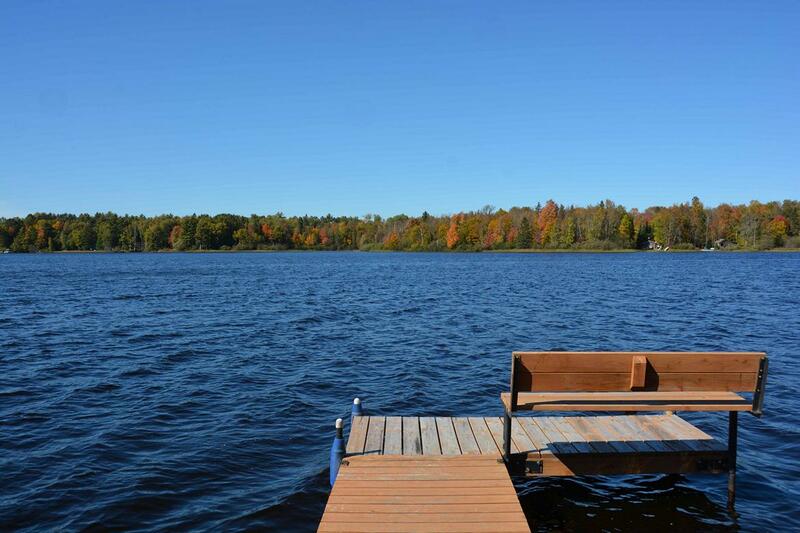 Enjoy the views and easy access to the lake via a level, grassy yard and dock. 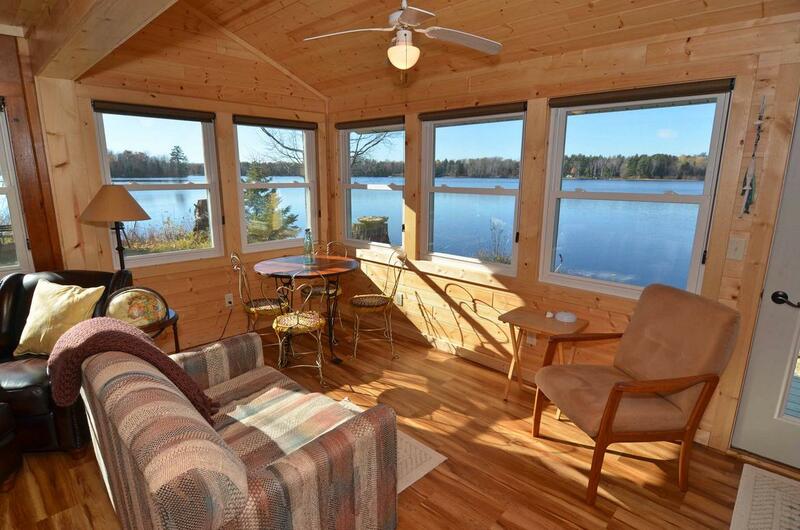 Relax on the deck and listen to the call of the loon or a soak in a beautiful sunrise with your morning coffee. 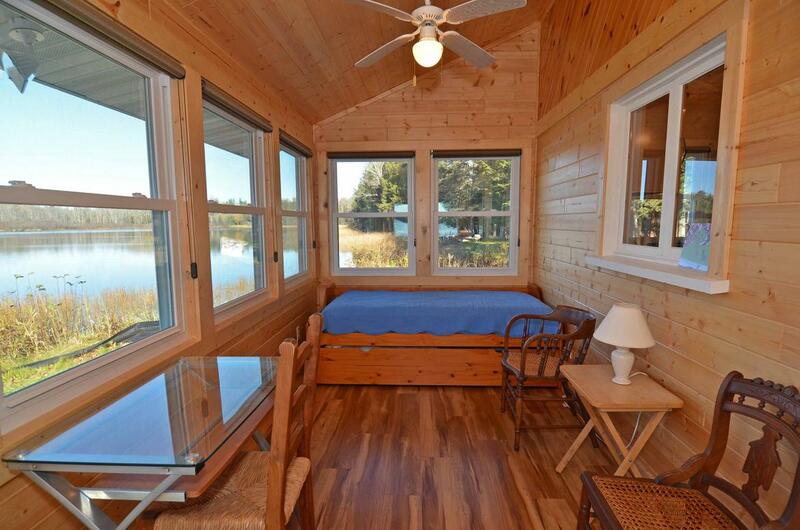 This cabin sits right at the lakeshore. 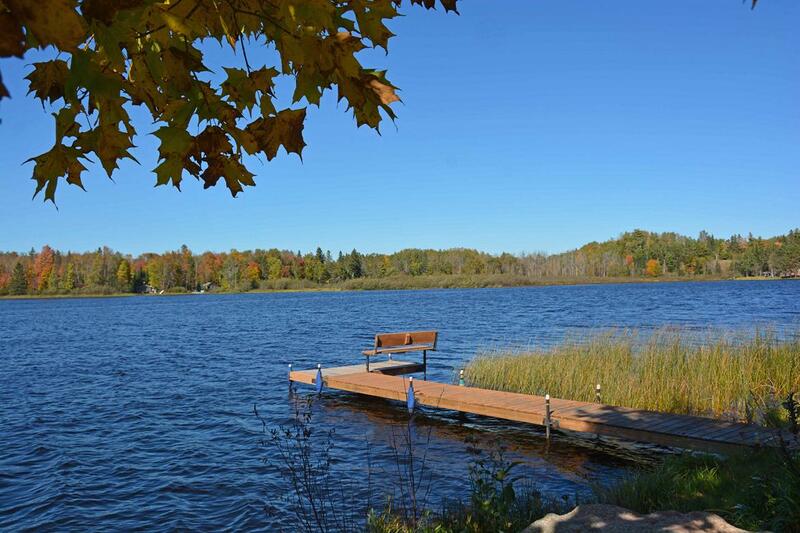 Upper Clam Lake is popular with fishermen, swimmers and paddlers alike. 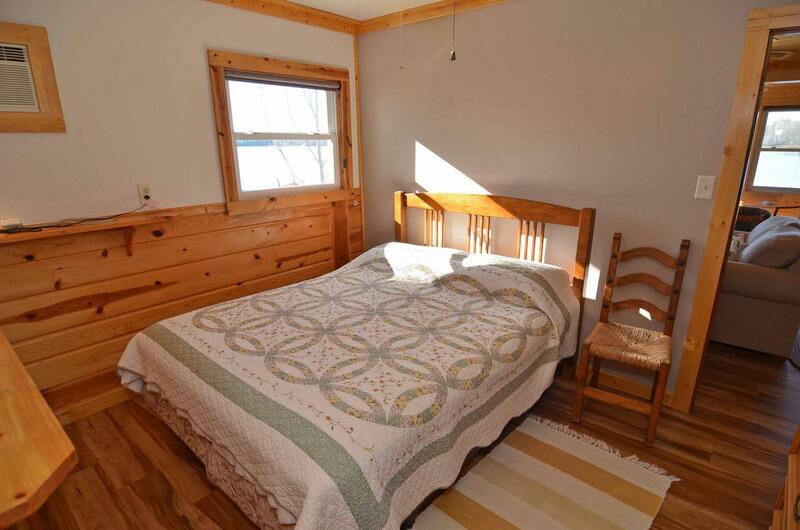 With restaurants, convenience store and gas station only minutes away, this is a great location for your next vacation!